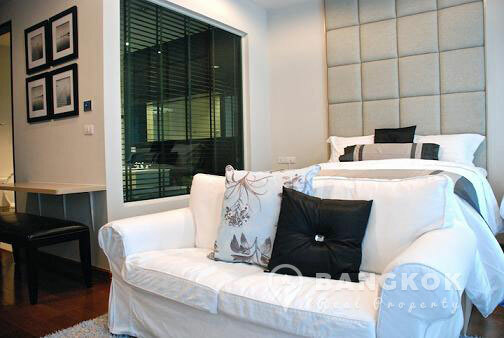 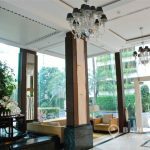 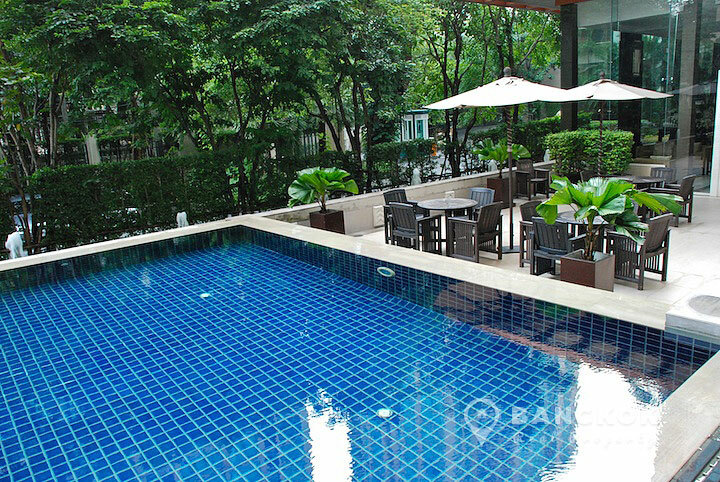 An elegant, spacious, high floor studio condo is available for sale at The Address Chidlom conveniently located on Soi Somkid in the heart of heart of central Bangkok, just 10 minutes walk from Chitlom BTS station. 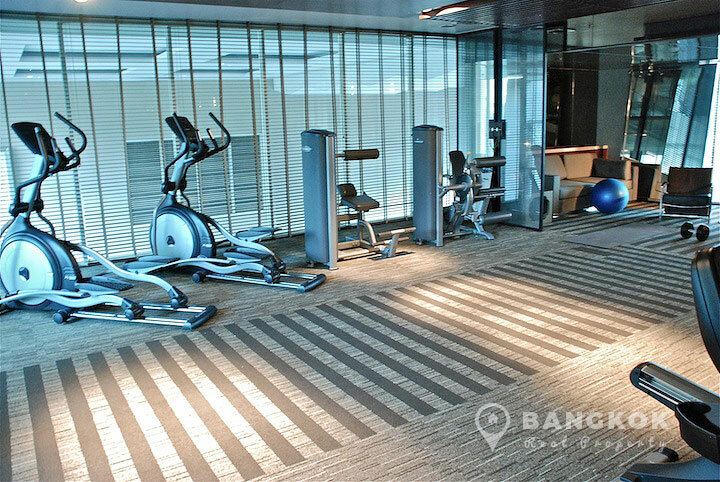 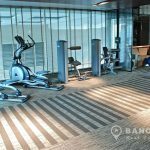 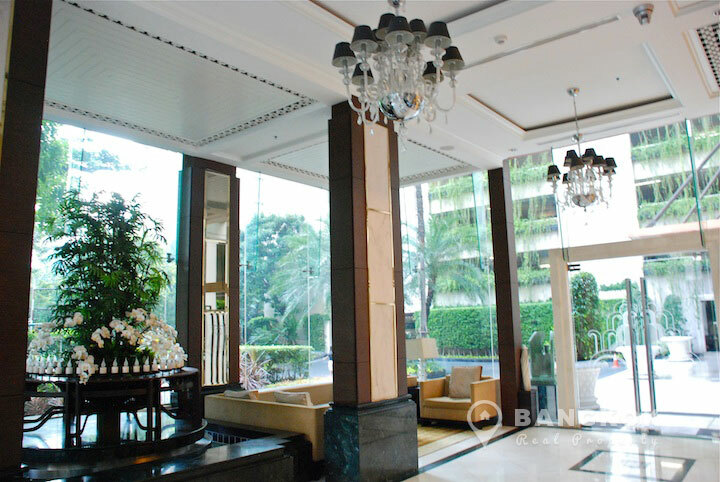 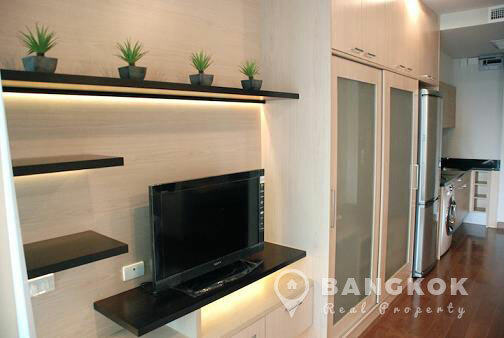 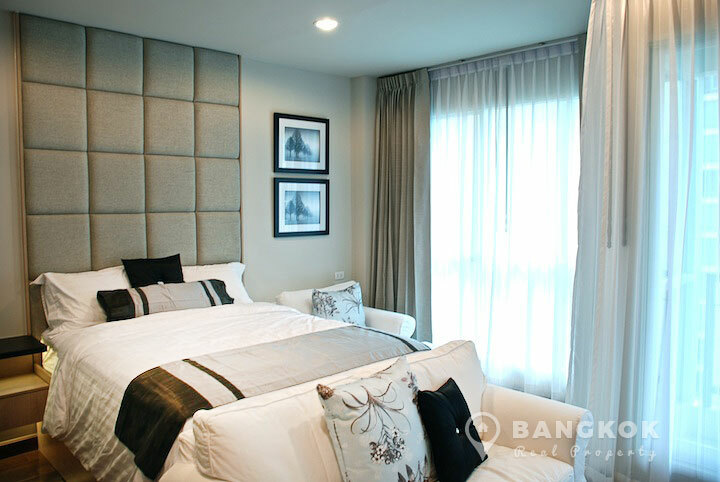 This high rise Bangkok condo built in 2009 by AP Thailand offers residents a vast selection of shopping and amenity options with Central Chit Lom, Central Embassy, the British, Swiss and US Embassies, Villa Market, Lumphini Park and for sports lovers the Royal Bangkok Sports Club Golf Course, all nearby. 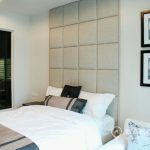 Situated on a mid floor of The Address Chidlom this very stylishly, fully furnished studio unit with a generous 38.80 sq.m of living space which offers residents the ideal city pad. 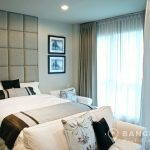 With polished wooden floors throughout, this studio unit has a king size double bed, sofa, dining table and chairs, balcony, excellent storage and a fully fitted kitchen with electric hob (stove), extractor fan (hood), washer-dryer and fridge-freezer. 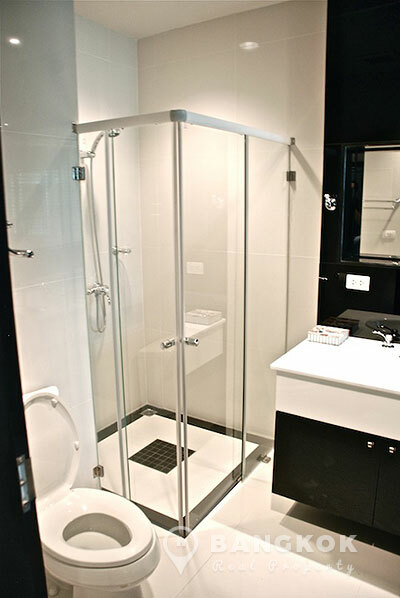 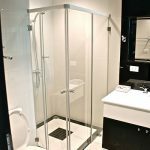 The bathroom separated from the living space by a glass partition with blinds has a bathtub and separate shower with top quality fittings. 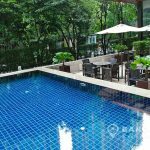 The Address Chidlom is a high rise condominium project, developed by AP Thailand, located on Soi Somkid in the heart of central Bangkok, just 10 minutes walk of the Chit Lom BTS. 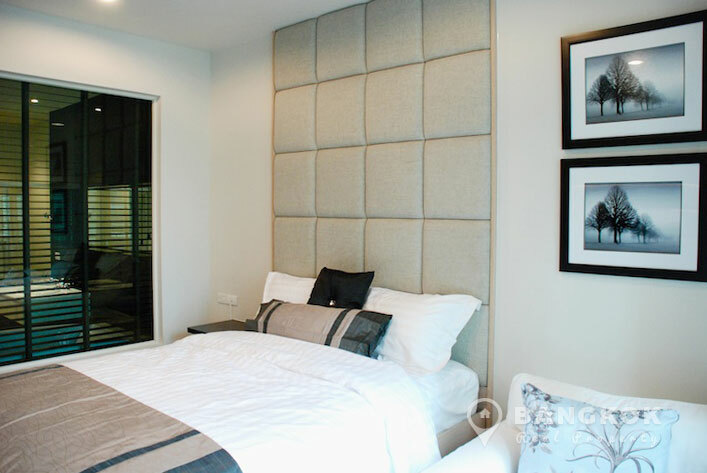 Construction of The Address Chidlom was completed in 2009 and the project consists of 2 buildings each with 22 floors with 597 units, a mix of studio, 1 and 2 bedroom units.